I love how this outfit combines laidback ease with standout accessories Lilli! You did a fantastic job of recreating it and as always I end up liking your accessory picks even better especially the boots! Happy weekend! Casual, ma super stiloso... mi piace! Great job dear Lilli. Such a pretty nice copy for less outfit. 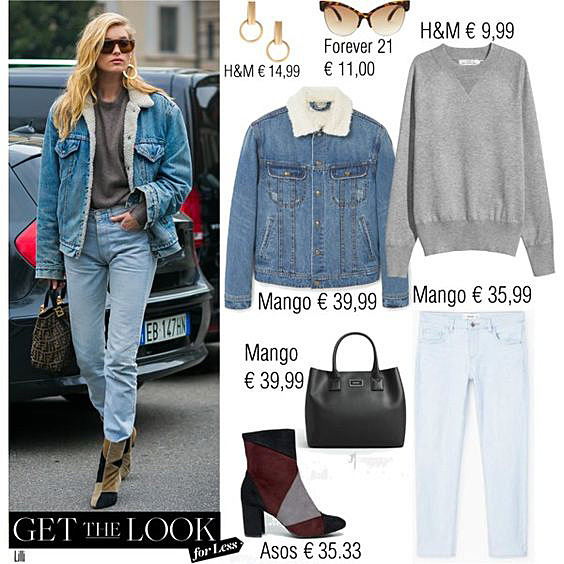 At the moment i´m in the mood for a alllover denim Look. Your selection is very inspiring. Also the patchwork booties are great. Wish you a fatnastic and sunny weekend dear Lilli. At IG i say your spring picture. Hi Lilli, wearing denim is one of my favourite outfit. But those Asos boots are so elegant and perfect.